The DEWALT DEWDT6515QZ multi material drill bit has the following dimensions:Size: 3mm x 80mm. The DEWALT DEWDT6526QZ multi material drill bit has the following dimensions:Size: 13mm x 160mm. The DEWALT DEWDT6525QZ multi material drill bit has the following dimensions:Size: 12mm x 153mm. The DEWALT DEWDT6524QZ multi material drill bit has the following dimensions:Size: 10mm x 134mm. The DEWALT DEWDT6522QZ multi material drill bit has the following dimensions:Size: 8mm x 134mm. The DEWALT DEWDT6521QZ multi material drill bit has the following dimensions:Size: 7mm x 123mm. The DEWALT DEWDT6520QZ multi material drill bit has the following dimensions:Size: 6.5mm x 123mm. The DEWALT DEWDT6519QZ multi material drill bit has the following dimensions:Size: 6mm x 123mm. 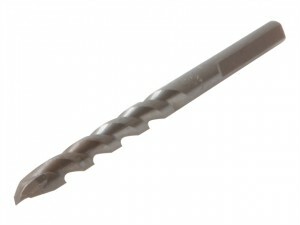 The DEWALT DEWDT6518QZ multi material drill bit has the following dimensions:Size: 5mm x 113mm. The DEWALT DEWDT6517QZ multi material drill bit has the following dimensions:Size: 4mm x 103mm. The DEWALT DEWDT6516QZ multi material drill bit has the following dimensions:Size: 3.5mm x 80mm.